You’re ready to go after your business goals with energy and enthusiasm. So what happens first? What do we say to whom, in what order, in what places? How many times do we need to reach people? When are the best times to reach them? Which events are the top priority for visibility and investment? Planning is the key to getting the answers to questions like these right. Thorough planning is what prepares you to be consistent and effective in your marketing. It allows you to define the level of flexibility you need in your marketing deployment. And it enables you to anticipate your customer’s needs and your competitors’ actions. We identify the best media and trade shows to reach your buyers when they’re most receptive. We determine the right sequence, timing, and frequency of media releases and ad placements. 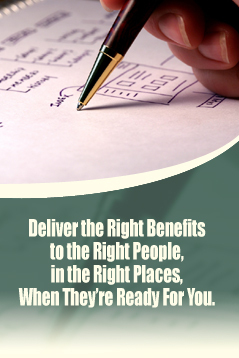 We provide you detailed implementation plans and budgets to hold us accountable. Our operating disciplines and reporting systems are tied to these plans so that budget status is available to you on demand. It’s simple – what gets planned gets done.